Prevue is an internationally recognized online HR assessment tool. 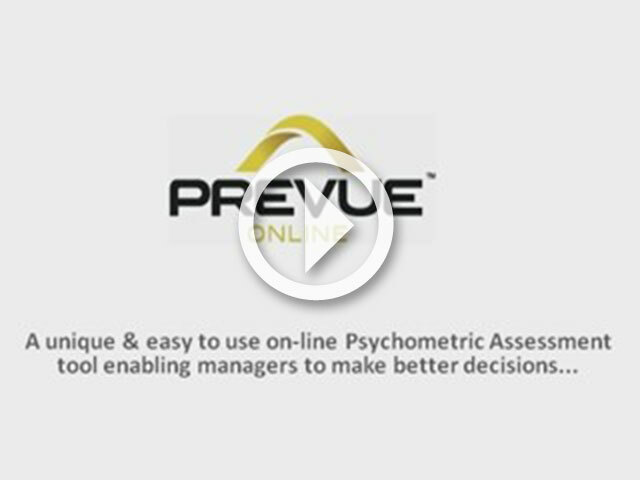 The Prevue system enables managers to measure the potential of individuals by means of evaluating their abilities, personality and interests. The unique benchmarking facility provides managers with an opportunity to construct tailor-made job profiles set by top performers and/or management input. Benchmarking is critical in determining what type of people best suit the job at hand as well as in establishing whether the company culture and values are in line with that of their employees. How will Prevue help you? Developed by leading authorities in occupational testing, Professor David Bartram and Dr Pat Lindley, the Prevue assessment is simple & quick to administer (taking just one hour to complete online) with results being generated within seconds after completion. How will Prevue add value? Selection report– measures job suitability fit and provides a list of targeted questions to probe gaps. Personal Development report– examines the gap between the benchmark and individual profile, providing training & development suggestions. Individual report– provides a personalized explanation of the individual results used for feedback. Succession planning reports– identifies which roles the individual is best suited to as well as listing which candidates are suited to an individual role. 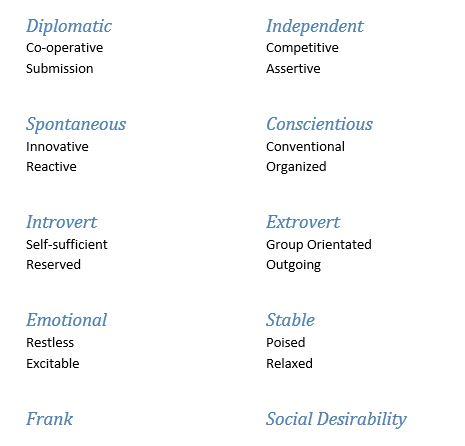 Working Characteristics report– identifies the individuals intrinsic values and ideal work environment they would be best suited to.